When Donald Trump is sworn in on January 20, there’s a good chance he could scrap one of President Obama’s boldest visions for NASA: the asteroid redirect mission, or ARM. ARM would ostensibly launch a robotic probe to an asteroid in 2023, capture the space rock, and tow it near the moon. Next, astronauts would ride NASA’s shiny new Space Launch System and Orion space capsule (which aren’t finished yet) to visit and dig into the asteroid sometime in 2025. 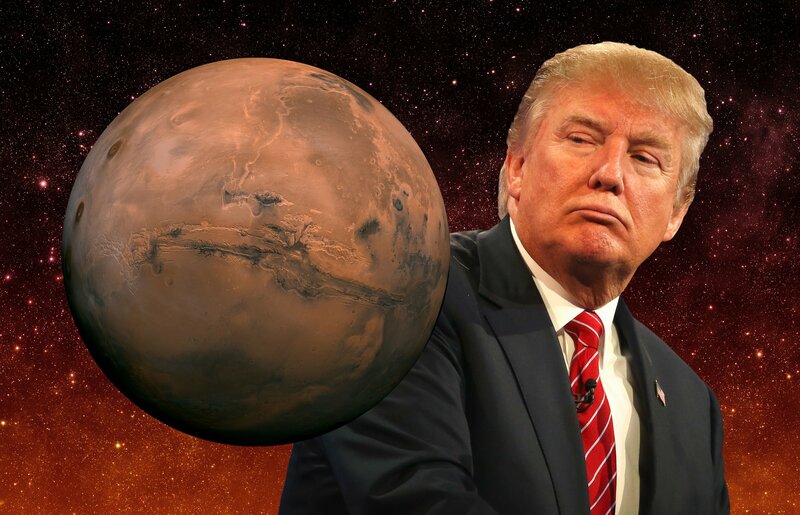 So what could a Trump-controlled NASA replace it with? Physicist and former astronaut John Grunsfeld, who recently retired as the leader of NASA’s science mission directorate, is pitching a popular idea involving a retrieving a sample of Martian soil, as Berger reported on Monday.